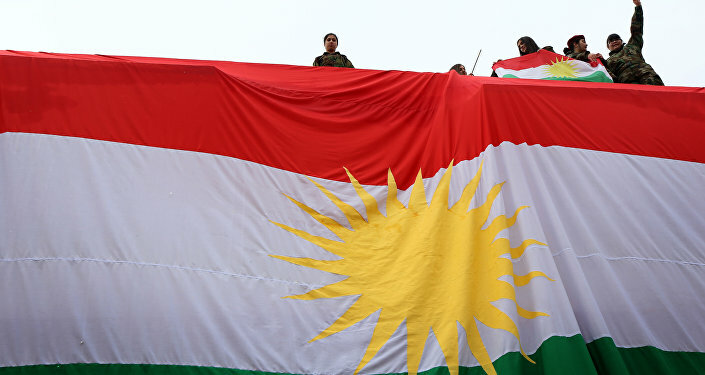 The Iraqi Kurdistan authorities reportedly decided to hold an independence referendum on September 25. MOSCOW (Sputnik) – According to the Rudaw television channel, the date was picked following meeting of Iraqi Kurdistan President Masoud Barzani with the representatives of Kurdish parties. The Kurds are Syria's, Iraq's and Turkey's largest ethnic minority. The ethnic group is striving to create their own independent state. Kurdistan in Iraq was created in 1970 based on an agreement with the Iraqi government, ending years of fighting. It gained autonomous governance status as part of the 2005 constitution, but is still considered part of Iraq.